Ten Minutes by Tractor | 15,000kms of Food! Ten Minutes by Tractor is a gorgeous winery with a modern restaurant facing the hillside in which the vines grow. Was there in summer for my mom’s birthday dinner, and it was an outstanding meal all around. 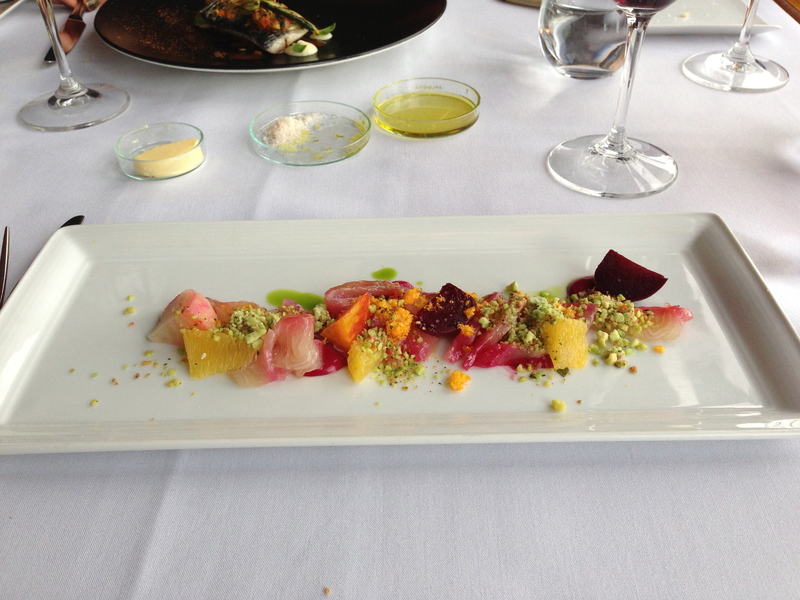 Each course was matched with a perfect wine from the winery. 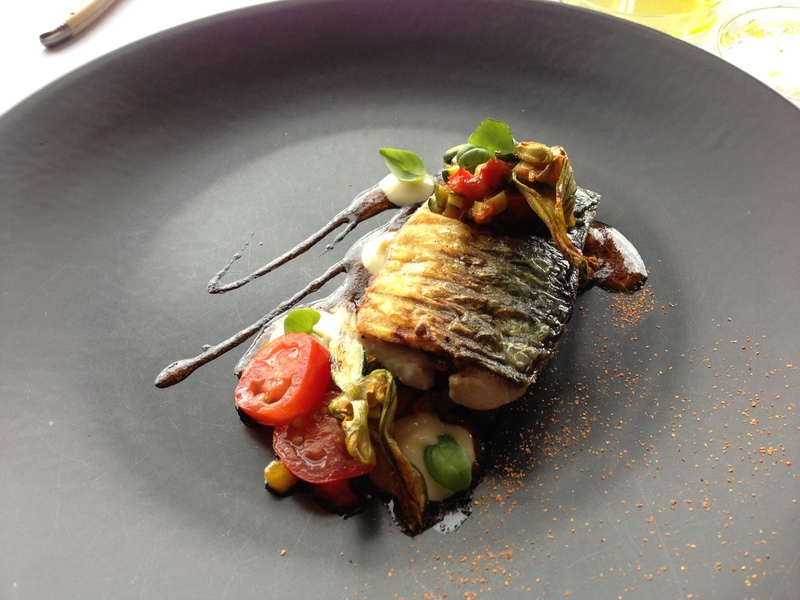 As you can see from the pics, the food was beautifully presented and tasted fantastic! 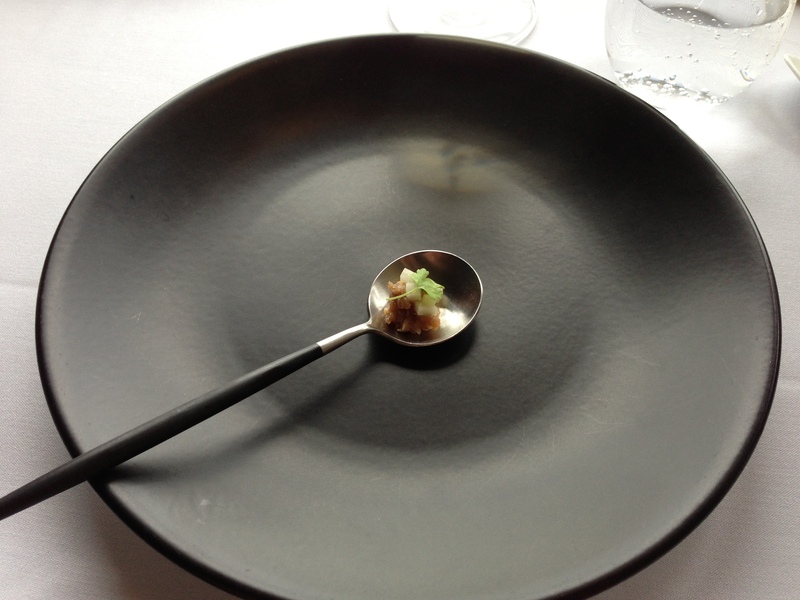 We started with an amuse bouche of tuna tartare. A small bite that packed a punch – lovely soft tuna, crunchy zesty apple. Gotta say, I loved the presentation and the spoon in which the tuna sat in. 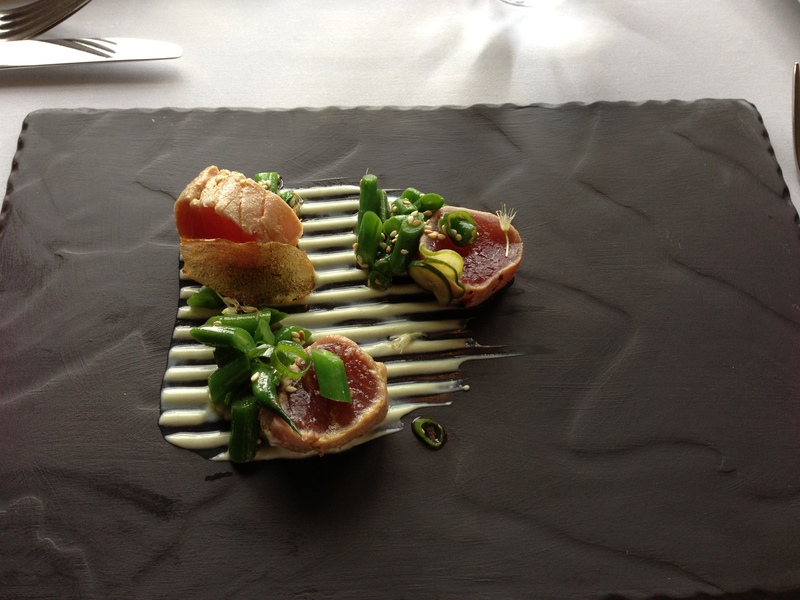 For entree, I had the “seared tuna with sesame and bean salad, spring onion yogurt“. It was tasty and light. My sister had the “charred mackerel with ratatouille, lemon creme fraiche, tomato vinaigrette” and my mom had the “beetroot cured king fish with beetroot, avocado snow, celery panacotta“. I had a taste of both and they were superb. 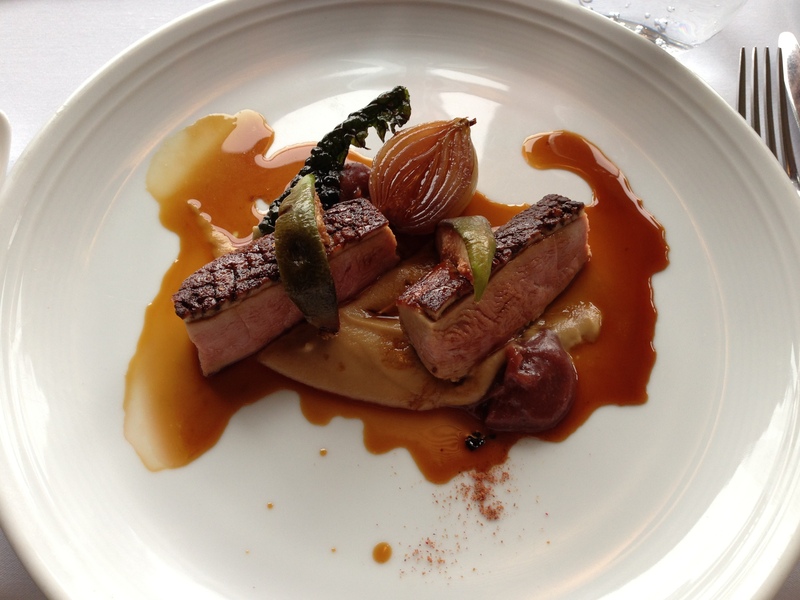 For main, I had the modestly described “duck & five spice with fig, soubise, duck jus“. Putting it out there that this may be the best duck dish I’ve ever had. The duck was juicy and moist, with crispy skin and the accompaniments went perfectly with the duck. 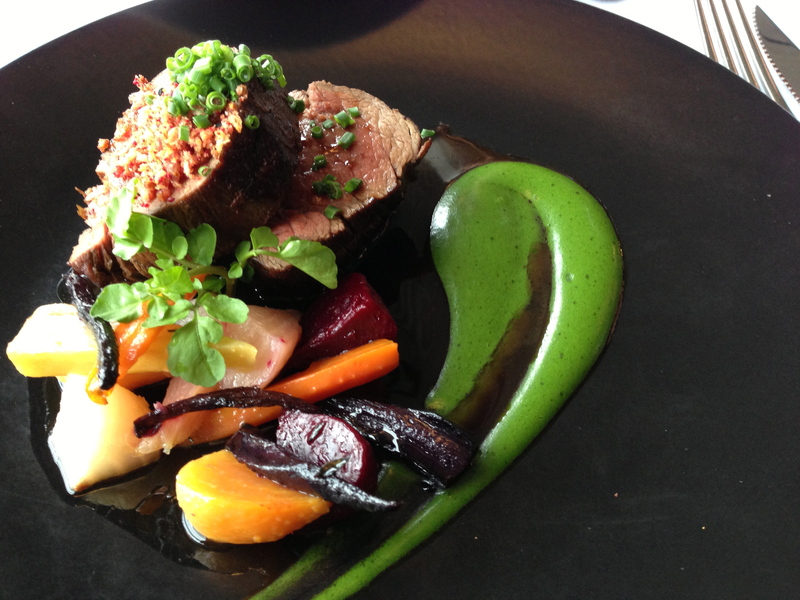 My mom had the “Flinders Island wallaby with parsnip, slow roasted grapes and walnuts” whilst my sister had the “Cape Grim eye fillet with beetroot, heirloom carrots, parsley emulsion“. Again, I had a taste of both and they were fantastic. Given the meal was quite rich, I opted for a light and fruity dessert. 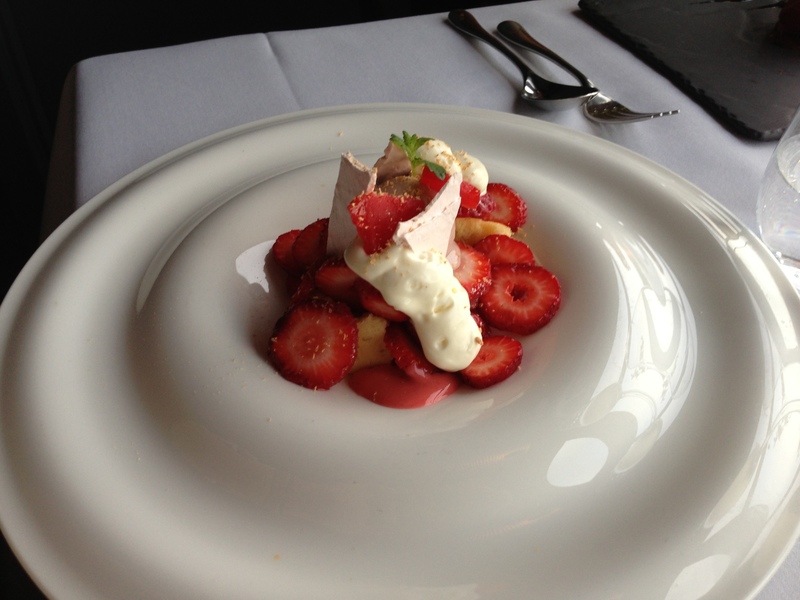 The “strawberry medley with lime cake, lemon verbena and white chocolate espuma, meringue, strawberry ice cream” was perfect! Sweet, citrusy, fruity and creamy. 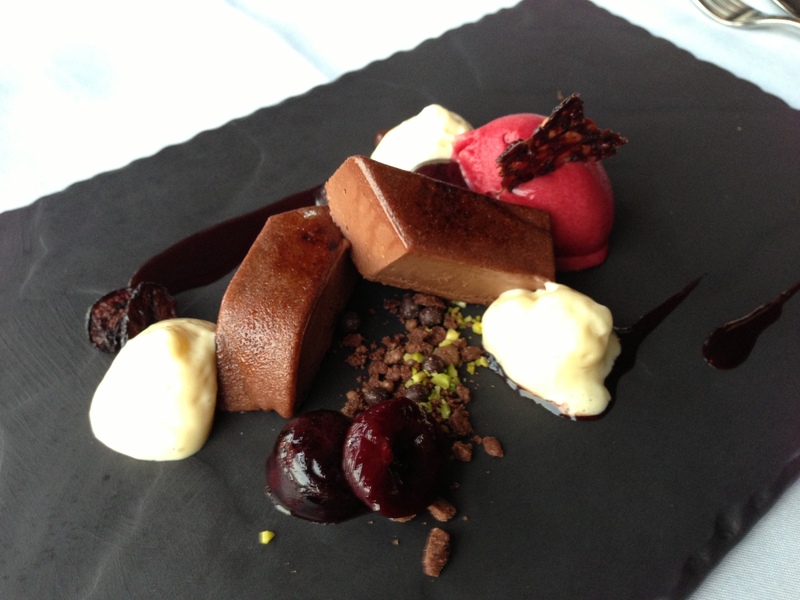 My sister chose the “chocolate chiboust with Michel Cluizel chocolate, poached cherries, cherry sorbet, vanilla & kirsch espuma“. She was happy with her choice (I declined to try any as it might have overwhelmed my dessert) and it looked amazing! In summary, the food was amazing. 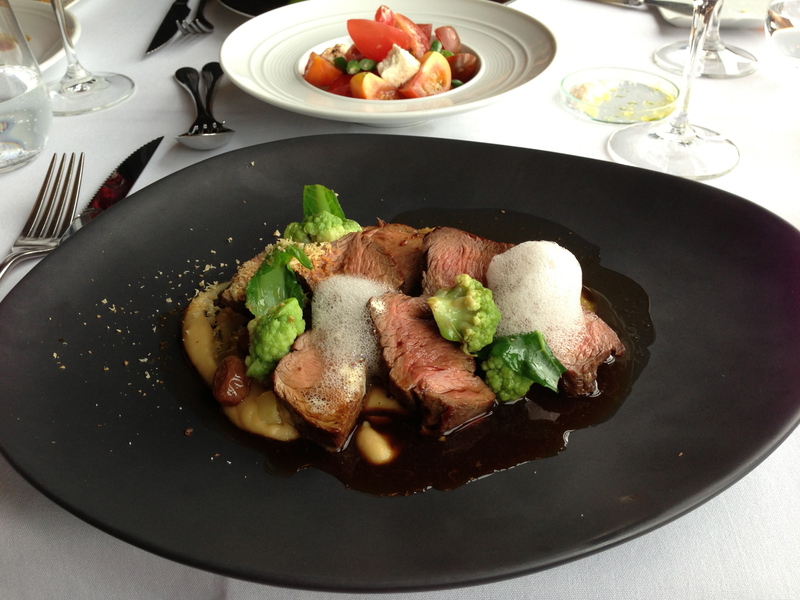 The restaurant was lovely, good service, great wine and good value ($89 for 3 courses!). In future if I’m ever in the region, I am booking myself in for a meal at Ten Minutes! Previous PostDining at the #3 Restaurant in the World: Mugaritz, San SebastianNext PostAmazing food at Cutler & Co.
Oh I’ve wanted to eat here for ages! Definitely need to book it in some time.